Motorcycle racer Phiwe Zulu plans to improve his record at the Motul Roof of Africa in Maseru next week and finish in the top 10 this year. Last year, he finished in the top 40. But, this time around, he believes the experience he got last year will be enough to propel him to a podium finish. The 32-year-old Zulu races with his partner, Thabang Katees. This year, the pair finished third in a national racing event in July. 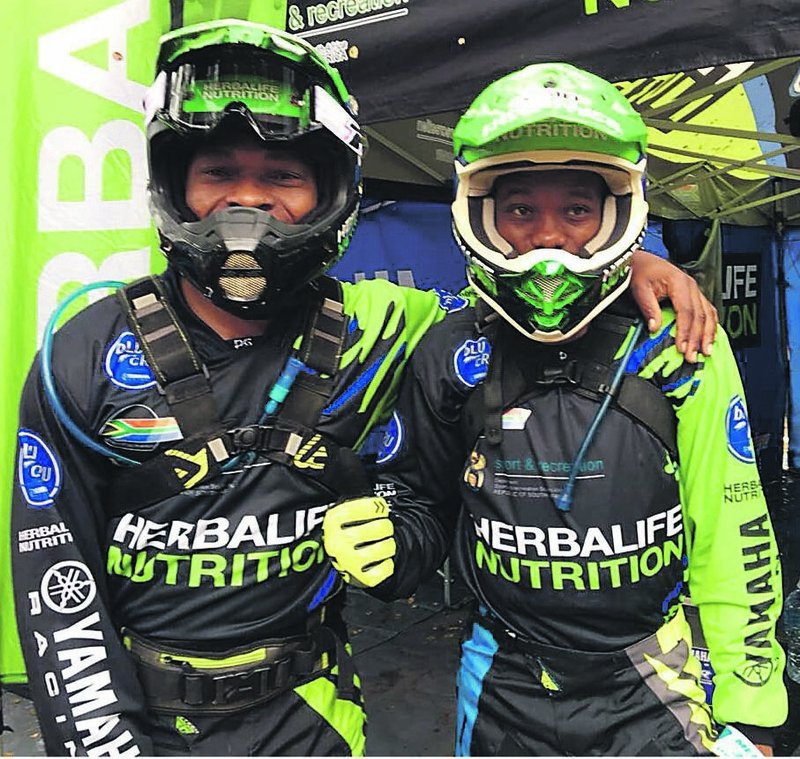 The Herbalife Nutrition bLU cRU Yamaha racing team stars, Katees and Zulu, both ended up among the top 10 at the Powasol Nite-X2. Zulu finished eighth and Katees in 10th position in the expert class. “I enjoyed the race very much and was optimally tested as the intensity increased with every lap. I thoroughly enjoyed riding bar to bar with my team-mate Thabang and some of the other pro riders,” said Zulu. Powasol Nite-X 2 was round six of the Southern Africa EnduroX Series and took place last weekend in Johannesburg. It was their last test before they face the Motul Roof of Africa, which is considered to be one of the toughest off-road endurance events in the world. He said there would be about 300 riders from different parts of the world competing, but that would not intimidate him or stop him from achieving his goal. He said most of them do not race professionally, participating mainly in social contests. Zulu said the sport was open to anyone as long the person was interested and starts racing at a young age. He conceded that a racer needed to have sponsors. Zulu started racing late in his life, but said that, when he was young, his father, who had a bike, used to take him for rides. “I started racing when I was 24 as a hobby, but the love grew. He said his relationship with Katees was working well. The Motul Roof of Africa starts on Wednesday and ends on Sunday.